Back to school—those three words seem to be popping up everywhere as summer reaches its conclusion and the children of the world return to their learning institutions. From grocery stores to TV screens to clothing boutiques, I can’t seem to turn around without spotting the slogan, which got me to thinking about the 1986 comedy of the same name. 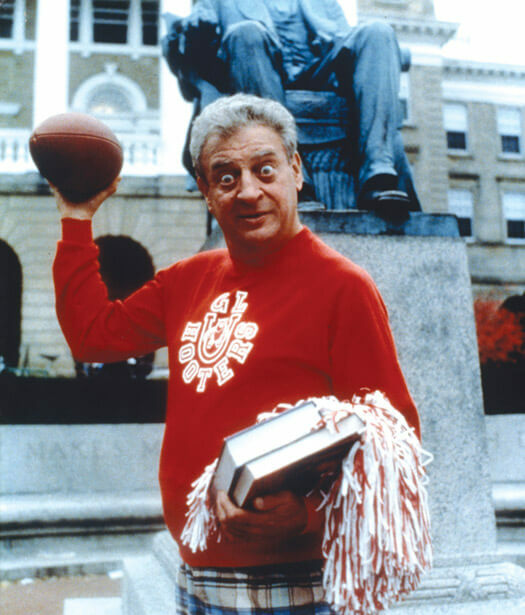 I had never seen the flick, which stars Rodney Dangerfield as Thornton Mellon, a millionaire who, during his golden years, enrolls in the fictional Grand Lakes University alongside his college-age son, so I set out to remedy the situation earlier this week and wound up being pleasantly surprised. Back to School is hilarious, even 28 years after its initial release. One of the film’s locations I recognized on sight. It is a place I visit each and every October, actually, and should be identifiable to most horror movie fans. 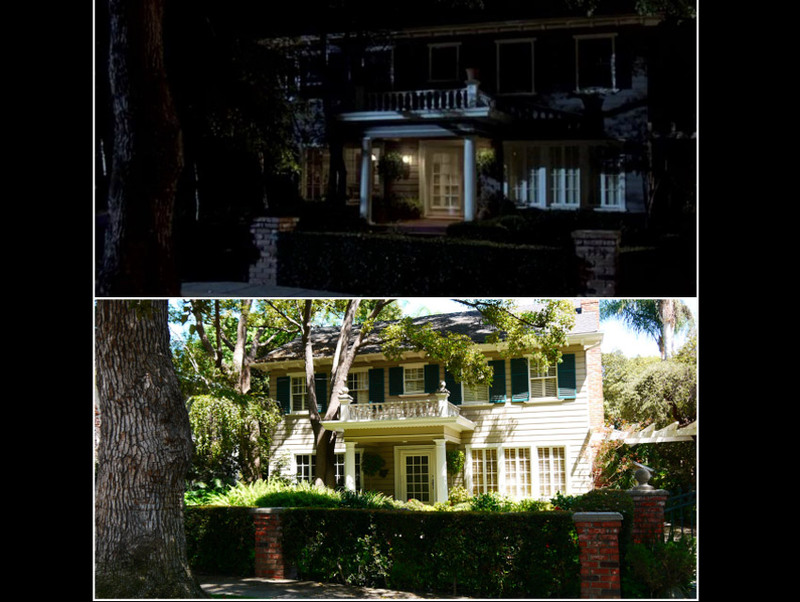 The Colonial-style house where Dangerfield’s English professor/love interest, Dr. Diane Turner (Sally Kellerman), lives in Back to School (located at 1530 N. Orange Grove Ave. in Hollywood) is the very same dwelling where a young Jamie Lee Curtis babysits—and gets terrorized by Michael Meyers—in the 1978 classic Halloween. Little of the home’s façade changed in the almost three decades since Back to School was filmed. The same can’t be said for the property’s price tag, though. According to Redfin, the residence last sold in 1995 for $545,000. Today, it is estimated to be worth upwards of $1.3 million. Sadly, the Industry Hills Aquatic Center in the City of Industry, where Dangerfield performed his “impossible” Triple Lindy dive, has not fared as well. The complex closed in 2005 and its 50-meter Olympic-size swimming pool and 10-meter diving platform were both demolished in 2009. That’s what happens when filming locations don’t get no respect.